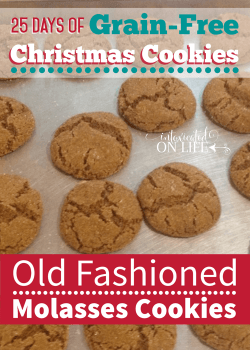 You’re going to love this traditional, healthyified Christmas cookie – a grain-free and sugar-free gingersnap! There is no need to throw your diet out the window over the holidays. You can have some of your traditional favorites along with some fun, new and interesting cookies. One of my favorite holiday memories growing up was baking Christmas cookies with my mom. A big pile of those round metal cookie tins filled with homemade cookies littered the kitchen. We baked, and baked, and baked some more. It was so much fun to see all the different varieties of cookies pile higher and higher! Since my whole family has gone gluten-free, baking cookies just hasn’t been the same. My kids love cookies. I love cookies. I miss Christmas cookies—the cookies I baked with my mom. I’m excited that this year, my kids and I will be able to reinvent an old tradition. 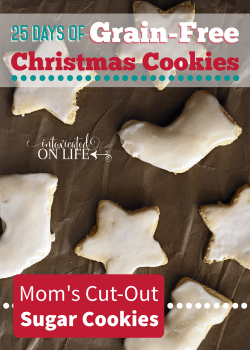 We will make oodles of Christmas cookies that our whole family can enjoy! Do you remember eating gingersnaps as a kid? They were a messy cookie. I loved their zip and didn’t mind the crumbs as they crumbled around me. I’m sure my mom minded those crumbs though! I was on a desperate search for a crispy, sugar-free, gluten-free gingersnap cookie recipe to use for the crust with my eggnog cheesecake. That’s what originally spurred on the desire to create this recipe. Whether you crumbled them up and use them in a crust or you let your kids munch on them for a bedtime snack, I think these will fit the bill. Oh, and as you’re cleaning up the crumbs after your kiddos, don’t get after them too much. 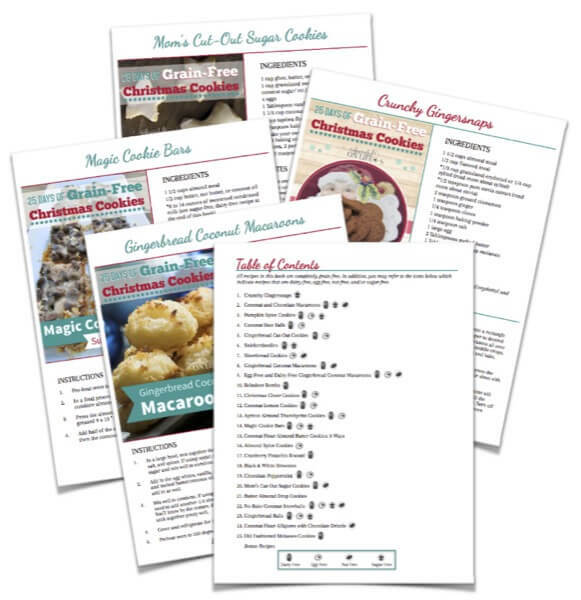 Smile as you think of the Christmas cookie memories they’ll have :). In a bowl, mix together almond meal, flax seed meal, erythritol, stevia, cinnamon, ginger, cloves, baking powder and salt. Add to the above mixture butter, egg, molasses, and vanilla. Stir until it forms a dough. At this point you can go one of two ways (it will taste the same either way). If you would like to go with a quick and easy way, or if will be crumbling the ginger snaps and using them for a crust, I would suggest going with option A. If you'd like pretty cookies, then use option B. On a large cookie sheet, roll out into a rectangle between 2 sheets of parchment paper to desired thickness being sure it is equal thickness all over so the edges won’t burn before the middle becomes crisp. Remove the top piece of parchment and score with a knife if you would like pieces that easily separate. Bake one hour or more. The baking time will depend upon how thick your dough is. Bake until the cookies are firm and edges are crispy. Turn off the oven and leave the cookies in the oven another hour. If you'd prefer to use sugar as your sweetener, skip the xylitol/erythritol and stevia and use 1/2 cup of sugar instead. YUM! 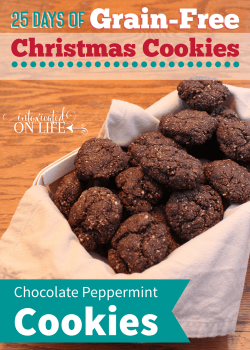 These look excellent… and I love how they are so guilt-free! I eat grain free/whole food diet most of the time… and I love ginger snaps! Oh my, you are making me so hungry. 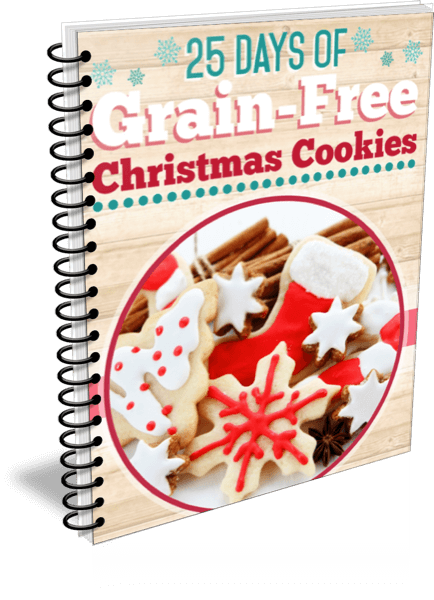 I’m looking forward to your recipes for grain free Christmas cookies! 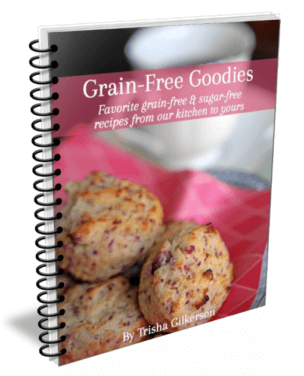 My 11 year-old-daughter has to eat grain free, and we are building her own special recipe book! Thank you. I hope that she discovers a few cookies that she loves! 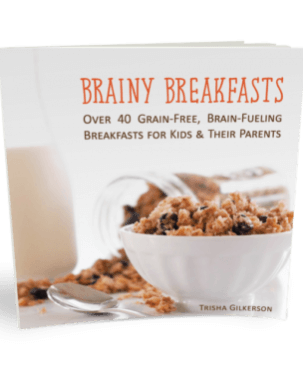 I know it would be hard for a child to be grain-free. My kiddos are all strictly gluten-free, but they do have grains occasionally. 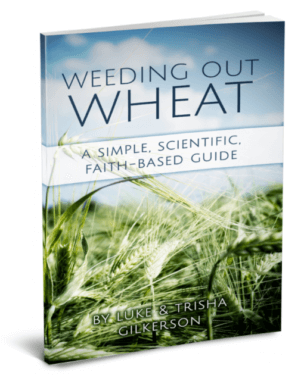 The gluten-free transition was difficult for them, I know cutting all grains would be VERY difficult. looking forward to the recipes and being able to try them. My granddaughter is gluten free and we have bought so many books and been disappointed in the results. 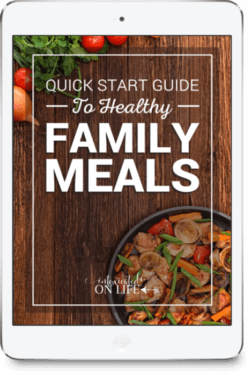 It will be nice to try some recipes with out getting stuck with a bunch of unwanted books. Is there a difference between black strap molasses and unsulfured molasses? From what I understand unsulfered molasses is from mature sugar cane whereas sulfered molasses is made from younger cane sugar. Molasses is produced in grades. The first boiling produces light molasses, the sweetest. A second boiling gives you dark molasses. The third boiling results in blackstrap molasses, which is the least sweet of the three. You can have unsulfured blackstrap molasses. Hope that makes sense! Thanks so much for sharing these over at Savoring Saturdays, Trisha – they look delicious! 🙂 I hope you’ll keep on sharing with us! You’re welcome! 🙂 Thank you for stopping by. Looks yummy! Thanks for linking up to Savoring Saturdays! Stumbled! Do these cookies stay crispy. this has been my greatest challenge with grain free cookies. They all come out soft. They do stay fairly crispy. They aren’t as crispy as the cookies that come out of a box at the grocery store, but they’re much crispier than other grain-free cookies I’ve had. I hope they work out well for you! 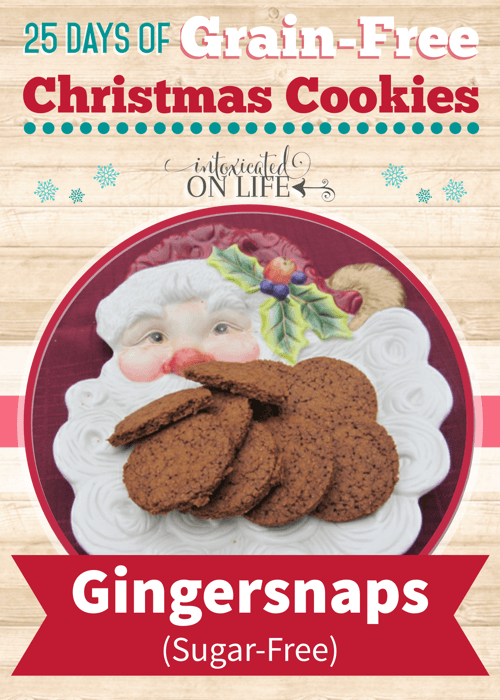 We just love Gingersnap Cookies and your recipe looks awesome! Thanks so much for sharing with Full Plate Thursday this week. Hope you have a great weekend and come back soon! What is the nutritional breakdown for these cookies. I’m sorry Karen, I’ve not figured out the nutritional breakdown of the cookies. Should I use salted or unsalted butter? I used salted butter. Hope that helps! is it really an hour to bake? How many cookies do you usually get? Yes it takes at least an hour to bake, so they can get nice and crisp. The number of cookies really depends on how large you make your cookies. I usually make smallish cookies and get around 3 dozen or so. is the oven temperature Farenheit or Celcius. please. Hi Petra – it’s farenheit. Hope that helps!